Keep up with the team through these news posts. The rowers and coaching staff offer their insights and up-to-date experiences so that friends, family, and alumni can stay in the loop. For alumni news, be sure to signup and read the latest Strokewatch issue. Rising Senior Dominic Pardini has been officially named as the Team President of the 2017-2018 UCLA Men's Rowing Team. On Thursday, the crew of David Kerns and Dominic Pardini raced to third place in the Trials for the 2017 USA U23 Rowing Team. 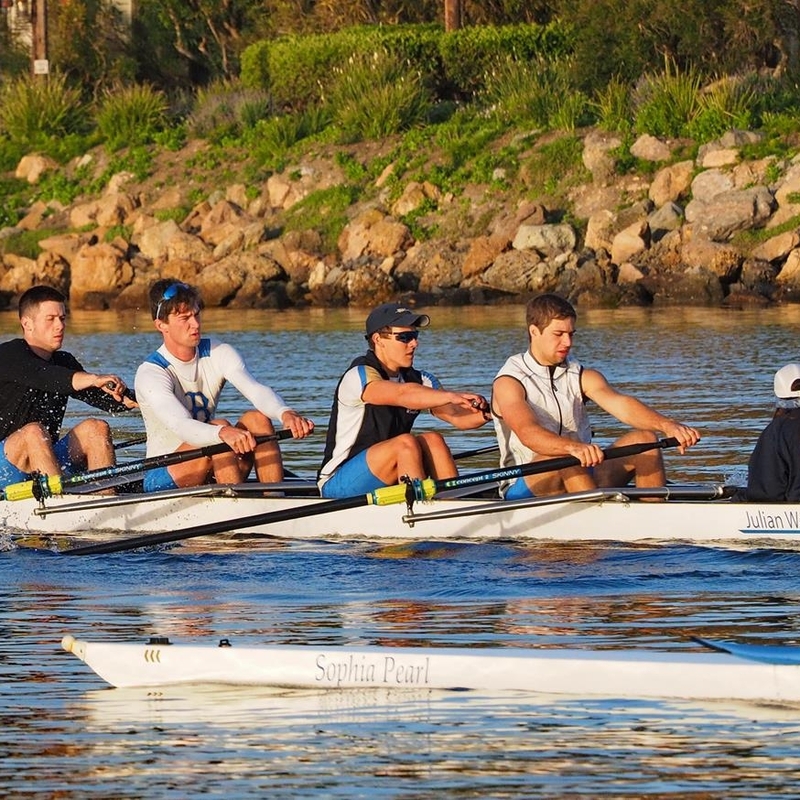 UCLA Men's Rowing showed the depth of its academic talent, when on Friday the team had 13 athletes selected to the 2017 Pac12 All-Academic team. No other campus had more people selected to the First Team than UCLA. For the first time in 5 years, UCLA has had one of its Men's Rowing Crews ranked in the Top 10 in a national poll. Following a strong string of results, the Novice Eight, captained by Chase Bakkeby and Jeremy Onofrei, have been ranked 8th in the latest American Collegiate Rowing Association Poll. UCLA Rowing crowned as University of California Champions for 2017!